I did have a nice little surprise on my trip. Whilst acting in my usual capacity of shopping bag carrier, I glanced up and there before me was my kind of shop. Woo-hoo, a real live in the flesh specialist writing instruments retailer. Suddenly I was promoted to shopping expedition leader. The first “full-size” specialist writing instruments retailer I have visited in my life. The shop-ladies were nice and I had a few trial runs with some fancy pens and pencils. 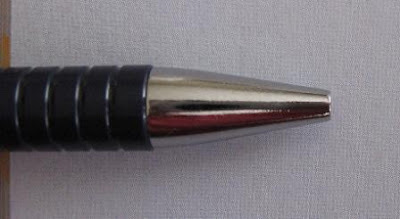 I was quite taken with the Montblanc Meisterstuck Solitaire Platinum-Plated Facet pencil, but then reality set in as the price tag had 4 digits before the decimal point. Still, nice to dream. I've been away on holiday, hence the lack of recent blog updates. I'm back now so look for something in the next week or so. No prize for guessing where I've been. The rarest mechanical pencil that I own. Now there’s a challenge! It’s not something I have previously given a lot of thought to, but as soon as I was asked the question one pencil came to mind and further cogitation didn’t budge it from top of the list, and thus my choice was confirmed. 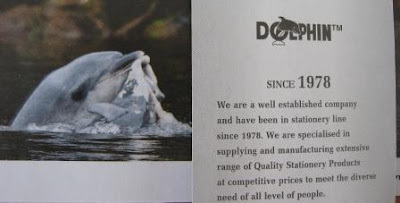 The Dolphin brand DOL C205. 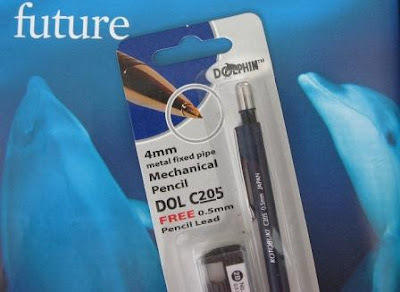 Dolphin is a brand name of a Malaysian stationery company Chungkeu, and I’m sure there’s nothing particularly rare about the DOL C205 in Malaysia. Rarity comes and goes with time and place. I tripped across the DOL C205 by accident a few years back, and since I’m not in Malaysia I had a devil of a time trying to get hold of one. That’s one part of the reason it’s rare to me, because it’s very hard to get hold of. But the real reason I wanted this mechanical pencil, and the thing that makes it truly rare in my book is this: There, in bold print on the pencil body, “Kotobuki”. 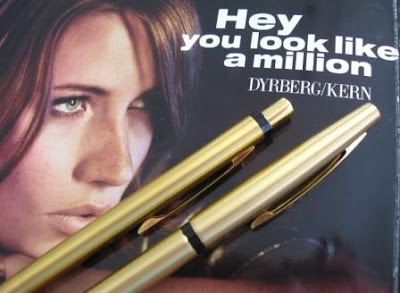 As one of the world’s leading mechanical pencil manufacturers, anyone who has got a few different models of pencil probably has a Kotobuki, but you just don’t know it because they manufacture and sell under other companies brand names. 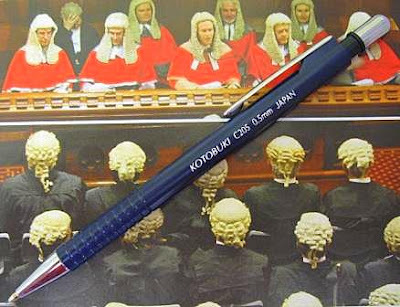 Apart from this pencil I have never seen or heard of a mechanical pencil with Kotobuki on it. For those who haven’t read it, here’s my previous posting on what little I do know about Kotobuki. 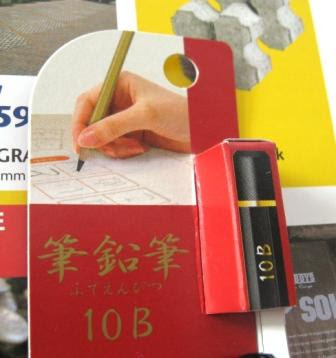 Now we know that Kotobuki do sell some of their own products under the PENAC brand name, and a quick Google search on ‘Penac C205’ brings up plenty of retailers, (mostly in the Balkans / Eastern European area) but as expected the branding on the pencil body is Penac, not Kotobuki. 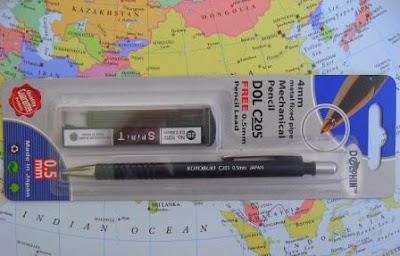 A Google search on ‘Kotobuki C205’ only brings up 24 results, of which only 1 relates to this mechanical pencil, and it’s a reference to the Penac C205 being manufactured by Kotobuki of Japan. 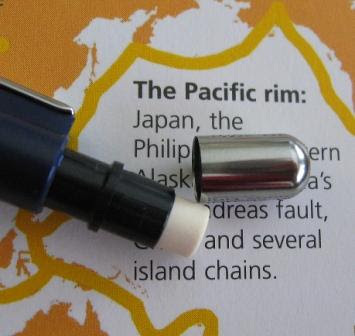 So, how “Kotobuki” ends up on the barrel of this Dolphin pencil is beyond me. 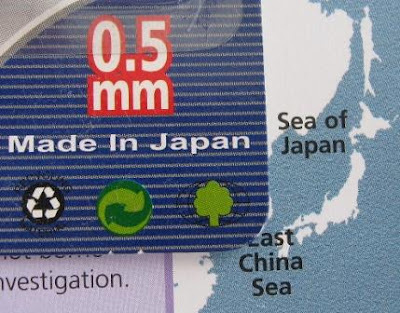 Clearly Dolphin see value in the “Made in Japan” as it is in three different places on the product and packaging. Somewhat strangely, the free pencil leads supplied with the pencil are “Hankook Sharp, Made in Korea”. The packaging states “4mm metal fixed pipe”. Clearly we have different ideas of what that means. In my book it’s a retractable conical sleeve. Sure it’s 4mm and metal, but it’s not fixed, and the pipe reference is rather misleading. 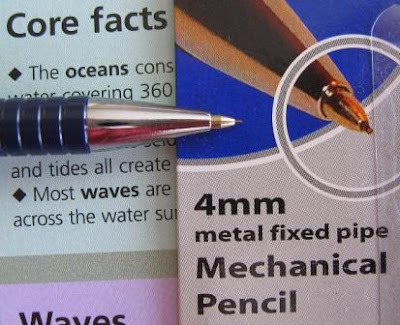 To me, “4mm metal fixed pipe” means a 4mm fixed (non-retractable) thin draughting sleeve like on the Pentel P205 and other such draughting pencils. Now you see it. Now you don’t – an unusual idea of “fixed”. 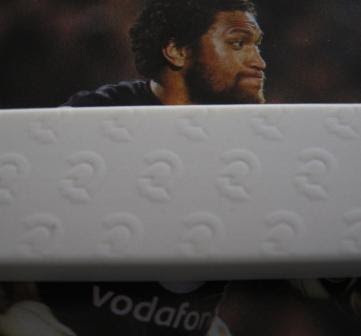 The grip zone on the C205 is formed by some simple concentric grooves moulded into the body. 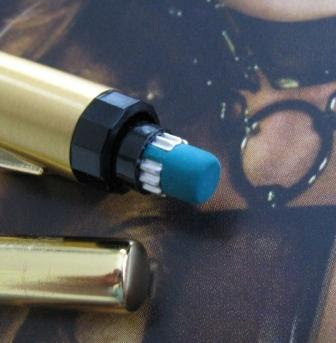 The metal push top button has a hole through it to show the eraser underneath. So, there we have it, my rarest pencil. Crikey, does that mean if there’s a fire, this is the one pencil I will try to save? 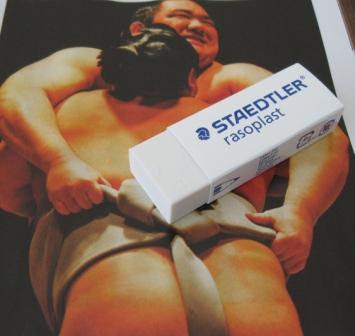 I have previously reviewed the Staedtler Mars Plastic eraser, but Staedtler also have another similar eraser, the Rasoplast, which has been one of the mainstays of their product line for many years. So, time to put the Rasoplast to the test to see just how it differs from the Mars plastic. 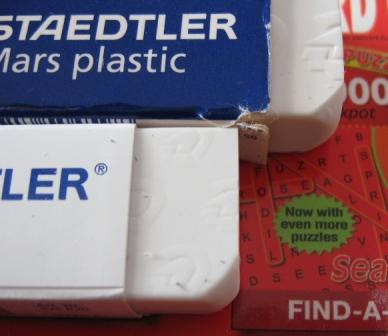 Firstly then, at the risk of giving me preconceived ideas and thus skewing my results, I went to the Staedtler International website to look at these two erasers and see how Staedtler differentiate them. Well Staedtler describe these two erasers in fairly similar terms, but there are two significant differences in their website descriptions. Firstly the Mars Plastic description includes the claims “Practically residue-free erasing” and “Easy to remove eraser waste thanks to minimal crumbling”. The Rasoplast webpage makes no similar claims. The second key description difference is that the Mars Plastic is described as “Premium quality” and Rasoplast as “Comfort quality”. Comfort quality? Comfort quality??? What the heck is that? 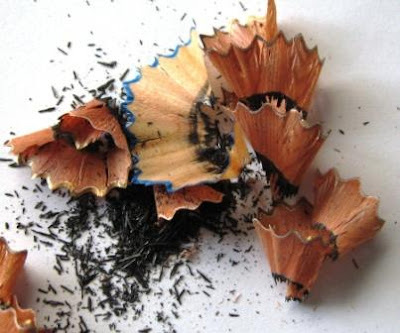 Obviously we all like and need a bit of comfort, but what’s that got to do with erasers? Other erasers are uncomfortable? Marketing mumbo-jumbo. I suppose maybe it’s some sort of counterpoint to the luxury brand concept? Staedtlers website is in many different languages, and I’d love to hear what the non-English sites say regarding this Premium and Comfort quality. For example, on the Italian language site, according to Google translate, the Mars Plastic is “premium quality”, but there’s no mention of the Rasoplasts quality, just that it's “improved formula”. Well there’s no mention of improved formula on the English site. 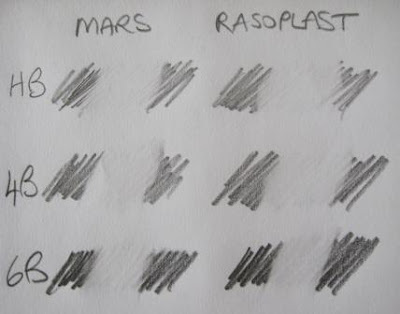 The Rasoplast comes in a couple of different sizes, like the Mars Plastic. For the test I bought a 526 B20 which is the larger size, about 21mm wide x 12mm thick x 63mm long. It has a protective sleeve like the Mars Plastic. 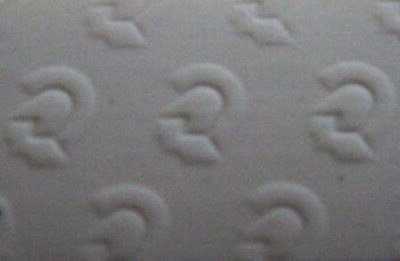 On the sleeve I note “Made In Germany”, “Latex Free” and what appear to be recycling symbols in an Asian language. Latex free – said it before and I’ll say it again, fine if you want to tell us what it isn’t made from, but at least also tell us what it is made from. I note “PP” amongst the recycling symbols. That’s got me confused because that made me think of polypropylene, and I don’t think either the eraser or the sleeve are made from PP. 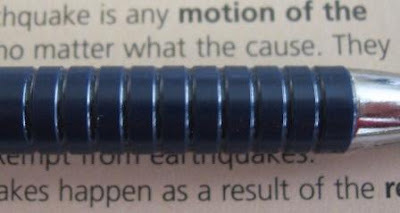 The Staedtler Mars-head logo is embossed into the surface of the Rasoplast. 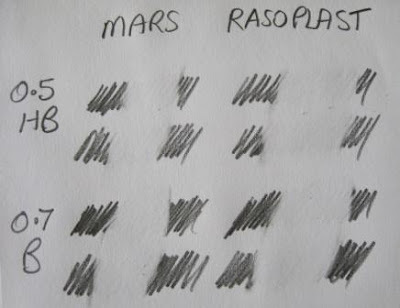 The Rasoplast is definitely a harder compound than the Mars Plastic (as tested by the fingernail test method) and thus not surprisingly the Rasoplast bar is stiffer than Mars Plastic. Right then, some actual eraser tests. All tests performed on ordinary photocopier paper. First up, woodcase coloured pencil. It’s very close, but a slight win to Mars Plastic. Next woodcase HB, 4B and 6B graphite lead. Again, very close, but if I have to choose then I’d say Mars won HB and 6B, Rasoplast won 4B. 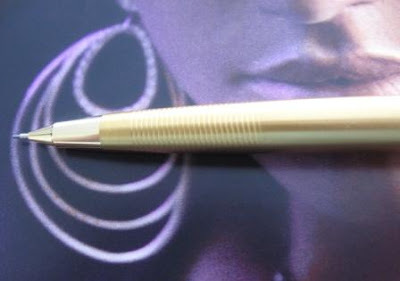 Lastly mechanical pencil lead, 0.5mm HB and 0.7mm B grade lead. No real difference. So, overall all then, very little difference in erasing power. As you might expect Rasoplast definitely feels harder and more abrasive in use, but it doesn’t seem to damage the paper surface. 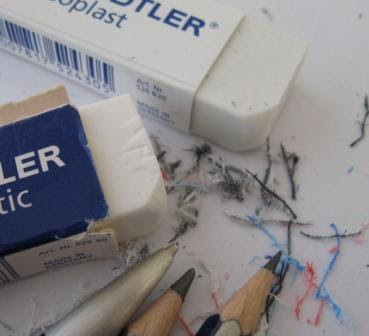 The eraser waste comes off differently, Rasoplast seems to form longer finer strings of waste and Mars Plastic definitely seems to get more graphite stains on it’s surface and thus require cleaning. 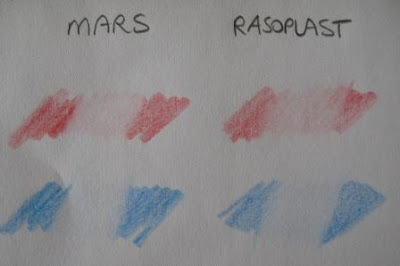 Maybe Mars also tended to smear the graphite around on its first swipe a little more than Rasoplast did, but then it erased it on the second swipe. At the conclusion of the tests the amount of wear on the two erasers seemed fairly similar. Final verdict – these two are quite close, but unless there was a significant economic advantage to Rasoplast, I’d stick with Mars Plastic. Well this is a follow up to my posting just below on the Mitsubishi 10B woodcase pencil. First a little extra information from my friend in Japan. 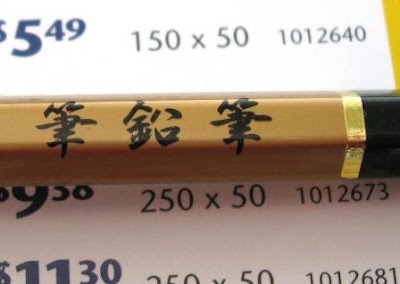 The pencil is called the "fude-enpitsu". 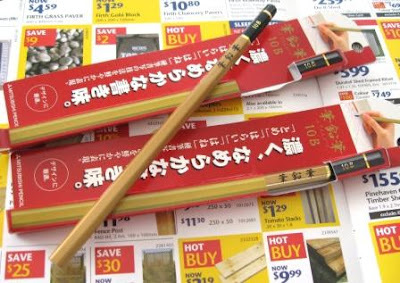 In Japanese "Enpitsu" means pencil, and "Fude" means a calligraphy writing brush. 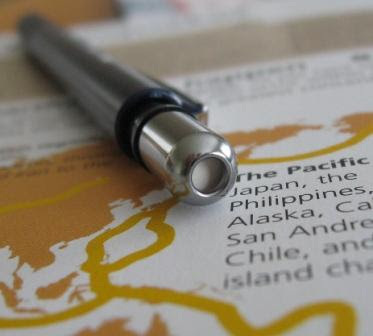 Thus the pencil is intended to offer a fude-like writing experience. The retail is about 450 yen (US $ 4.30). That’s per pencil, not a box full of them! 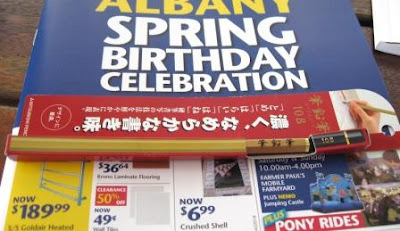 I imagine you'll need to get them from one of those specialist Japanese online retailers rather than your usual local pencil sources. 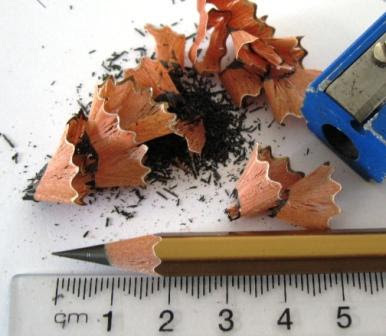 Dimensionally the pencil is relatively normal – 176mm long, 7.2mm across the hex flats. I estimate the core diameter at about 4mm, well a lot more than 2mm anyway! I guess every now and then you’ve got to take one for the team, and it appears now is my turn. So, out with the sharpener. A trusty old 2-hole DUX 1128-NB, made in “W Germany” so that dates it a bit. Sharpening went smoothly. Piles of graphite shavings, lots of long twisting wooden spirals, heady scent of cedar – well I’m guessing it's incense cedar. I haven’t ever used a fude, but writing with this pencil is smooth. Mighty smooth. But that lead wears down a bit faster than average. A few comparisons below. I just hit “Auto-Correct” on my photo-editor and it shows up the differences in the leads quite well. Really we are talking about how black is black here, so it’s a bit hard to show in photo’s. Well with my basic camera anyway. 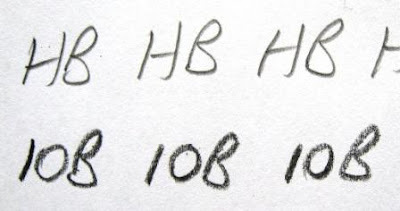 Mitsubishi 10B versus Faber-Castell Goldfaber 1221-HB and Staedtler Mars Lumograph 100-5B. 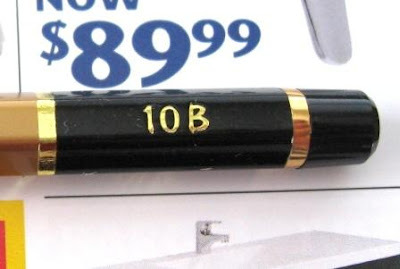 Writing with the 10B was noticeably smoother than with the 5B. 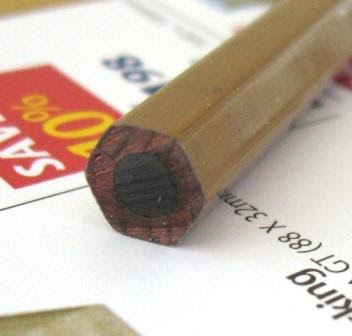 For comparison of woods, the lighter coloured shaving in the centre is from the Staedtler Mars Lumograph 5B. 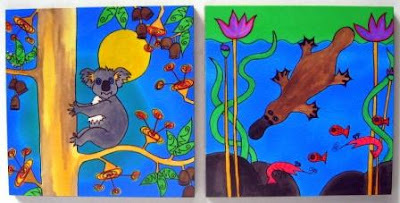 PS - completely unrelated, but there's a little something new over on my Lead Free blog. Specially for all the Canucks out there. It’s spring and the wooden pencil tree has grown some new twigs! A Mitsubishi 10B. I’ll say that again, 10B!!!! By crikey, that’s dark! 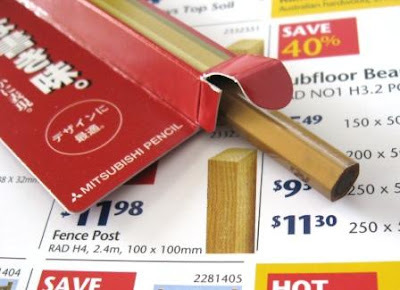 Each pencil comes in its own hang-sell type display card. 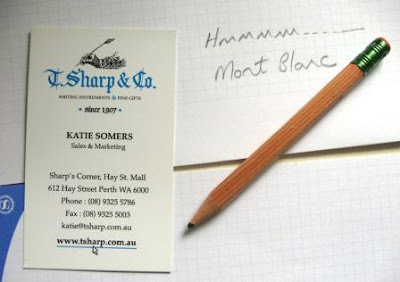 Flat card with all sorts of writing, and the edge is folded up into a long thin box that the pencil slides into. As expected, the 10B graphite core is rather thicker than average – almost more core than wood. Brilliant shiny lacquer, gold bands, black top – this is a premium pencil, but what else would you expect from a wooden pencil made in Japan? Not much writing on the pencil, mostly in Japanese. I’m too scared to ruin them by sharpening, so someone else will have to tell you just how smooth and dark they really are. Thanks Isu. Here’s a Pentel pen and pencil set I picked up quite cheaply the other day. If it has been used, then it was hardly at all, so it’s basically NOS, NIB or other such acronym. The rollerball is marked "Pentel R6 Japan", and the pencil "Pentel Japan" and "0.5" but Germ tells me it’s a PS65. Probably dates to the mid 1980’s. I’m guessing the bodies are gold anodised aluminium as they are very lightweight. 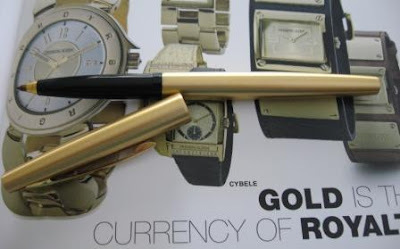 Lovely and gold, all nice and shiny, with my interest in “luxury” brand pencils people will accuse me of being a jewellery collector. Concentric rings around the grip zone for enhanced grip. The black plastic ring is the Pentel 11-sided polygon. Very cool. A million? For under 20 I got a bargain then.